​Many Christians know that the death of Christ took place at the “ninth” hour of the day – about 3:00 pm – at exactly the time of the afternoon sacrifice in the Jerusalem temple. Christ’s death was, of course, what the physical sacrificial system had pointed to, but relatively few Christians have noticed the extent to which the sacrifice of Jesus tied to those temple offerings. According to the Law of Moses, sacrifices were made in the Jewish temple three times each day – at the third, sixth, and ninth hour of the day. The daylight part of the day was reckoned to start at 6:00 a.m., so these are the hours we would call 9:00 a.m., 12 noon, and 3:00 p.m. When we look closely at the Gospel accounts, we see certain events at the death of Jesus corresponded exactly with these three times of offering. 1) The Gospel of Mark tells us that “ … it was the third hour when they crucified him” (Mark 15:25 ESV). This is when the actual crucifixion took place when Jesus was nailed to the stake or cross on which he offered up his body – at the exact time of the morning sacrifice – although it was a number of agonizing hours before Christ died. 2) Mark also tells us “And when the sixth hour had come, there was darkness over the whole land until the ninth hour” (Mark 15:33 ESV). This darkness – that began exactly at the time of the mid-day sacrifice and lasted till about 3:00 pm – symbolized the weight of all sin that was placed upon Christ, as he temporarily was separated from God, sacrificing his relationship with the Father. This separation was expressed “about the ninth hour” in his anguished words “My God, my God, Why have you forsaken me?” (Matthew 27:46). 3) Luke tells us that at the ninth hour or 3:00 pm, at the time of the so-called “evening prayers” and the last sacrifice of the day: “Then Jesus, calling out with a loud voice, said, ‘Father, into your hands I commit my spirit!’ And having said this he breathed his last” (Luke 23:46) – he gave up his very life. So the sacrifice of Jesus literally spanned all three of the sacrificial offering times of the day of his death – the morning, noon and evening offerings. At the third hour he was crucified and offered up his body. At the sixth hour he was cut off - he temporarily sacrificed his relationship with God. At the ninth hour he died – he gave up life itself. Interestingly, in his epistle to Titus the apostle Paul tells us, regarding Christ’s sacrifice, that he: “... gave himself for us to redeem us from all wickedness and to purify for himself a people that are his very own, eager to do what is good” (Titus 2:14). Although Paul was not speaking directly of the three aspects of the sacrifice of Christ in saying these three things, his words are relevant in reminding us of how the three aspects apply to us. “Do not offer any part of yourself to sin as an instrument of wickedness, but rather offer yourselves to God as those who have been brought from death to life; and offer every part of yourself to him as an instrument of righteousness” (Romans 6:13). In saying we should sacrifice ourselves as “an instrument of righteousness” Paul means, of course, to do good works – exactly as he writes in Titus 2:14 (and see Titus 3:8 and Ephesians 2:10). It is a command that is clearly echoed in the Book of Hebrews: “Do not neglect to do good and to share what you have, for such sacrifices are pleasing to God” (Hebrews 13:16). So while Paul’s mention, in his letter to Titus, of the three aspects of the sacrifice of Christ are not tied directly to the three sacrifices of the day of the crucifixion, his words give us cause for reflection and remind us of our own responsibilities in accepting the three parts of Christ’s offering. We too need to offer our bodies as a sacrifice to God, we too need to do whatever we can to help others find fellowship with him, and we too need to offer the sacrifice of our lives – the time we are given – to the cause of good works. To the extent that we are following him, the three aspects of Christ’s sacrifice will be reflected in our lives also. Scripture lists Daniel as one of most righteous individuals who lived in the Old Testament era (Ezekiel 14:14), and studying the book that bears his name can be particularly instructive regarding making the right decisions in matters of faith. Yet Daniel’s sterling righteousness does not mean he was unbending and unwilling to exercise reason in applying his faith. In fact, Daniel shows us that it is sometimes the exercise of flexibility that allows us to apply our faith in wisdom. We see this in the very first chapter of the book of Daniel. At the opening of the book we are told that Daniel and a number of other young Jewish men that had been taken captive to Babylon were chosen for special training in the Babylonian king’s palace. But now a problem arose. We are told that “The king assigned them a daily amount of food and wine from the king’s table” (Daniel 1:5). This may sound great for the average young man with a good appetite, but for Daniel, as a faithfully observant Jew, this was a problem. There is no question that foods from the pagan king’s table (or more accurately, “kitchen”) would have included many meats and other foodstuffs that were unclean according to the ceremonial laws of the Old Testament (Leviticus 11). Righteous as Daniel was, he immediately tried to obtain an exception to this royal decree: “But Daniel resolved not to defile himself with the royal food and wine, and he asked the chief official for permission not to defile himself this way” (Daniel 1:8). But obedience to the law of God was not going to be that easy in this case. The official told Daniel: “I am afraid of my lord the king, who has assigned your food and drink. Why should he see you looking worse than the other young men your age? The king would then have my head because of you.” (Daniel 1:10). Daniel then said to the guard whom the chief official had appointed: “…Please test your servants for ten days: Give us nothing but vegetables to eat and water to drink. Then compare our appearance with that of the young men who eat the royal food, and treat your servants in accordance with what you see” (Daniel 1:11-13). Notice that Daniel did not attempt to go over the official’s head, but rather went beneath him by making the same request to one of the guards under the official’s command. In this case this was a brilliant move. Had Daniel tried to go above the official to the king, his request would doubtless have failed if it were heard at all. By making the request of someone who had not been directly commanded by the king (as the official had been), Daniel was able to present an alternative “meal plan” to the guard that doubtless pleased the man. By forgoing the food from the “king’s table” Daniel opted for a diet of vegetables – basic food probably close to what the guard himself received as that was the traditional food of servants and poorer people. The offer Daniel was effectively making to the guard was “How about we eat your inexpensive meals and you can have our rich royal fare?” Even if a direct exchange of meals was not involved, the guard simply had to give Daniel vegetables from the royal kitchen and could keep the rest of the rich meal for himself. The guard’s response to this offer was what we might expect: “So he agreed to this and tested them for ten days” (Daniel 1:14). The results of this meal exchange were perhaps more surprising. At the end of the ten days Daniel and the other Jewish trainees looked healthier and better nourished than the young men who ate the royal food. As a result, the guard was doubtless happy to maintain the situation and we are told that he “…took away their choice food and the wine they were to drink and gave them vegetables instead” (Daniel 1:16). The outcome of this situation was perfect. The royal official Daniel had first approached was relieved not to have to report a problem with some of the young men he was supposed to be training, and the guard who actually brought the meals from the kitchen had no complaints either. But this simple outcome was based on a careful and well thought out approach on Daniel’s part. Instead of bluntly refusing the king’s commanded diet, Daniel used tact, interpersonal skill, ingenuity, and certainly wisdom in addressing the problem. In taking this approach he not only saved himself from a difficult situation, but also avoided being the cause of difficulty or even punishment for those assigned to work with him. In using wisdom in this way, Daniel did not compromise his own faith and also did not cause problems for himself or others. We do not know what Daniel would have done if his second attempt had not been successful, but the story indicates it is likely he would have tried other alternatives as long as some were available. Later in the Book of Daniel we see that Daniel was not afraid to “take a stand” when he had no choice but to do so (Daniel 3:13-18), but the first story we are given shows his success in balancing obedience with wisdom when that was possible. In our own lives we too may sometimes be called upon to make hard decisions regarding our faith. In those cases, like Daniel, we should be willing to take a stand regardless of the cost. But, also like Daniel, we should be careful to apply our faith in wisdom and to avoid “taking a stand” when this is not necessary. In many cases we will find that the application of wisdom to faith can bring about the best outcome for everyone. That is doubtless one of the reasons we are told that righteous Daniel found favor with both God and men (Daniel 1:9,19; 9:23). ​We tend to think of Luke as the most universal of the Four Gospels – the life of Jesus that begins its genealogy with Adam rather than Abraham, and that stresses the importance of Samaritans and other Gentiles. But there is a less noticeable yet equally pervasive inclusion to be found in his Gospel that was just as revolutionary for his day: the inclusion of women. Women are not simply injected into the story that Luke tells to give them a presence as “token female believers,” however. What Luke does is more surprising. He carefully arranges his Gospel to include a woman at every key point in the narrative in which a man is found. In other words, Luke structures his Gospel around carefully arranged pairs of males and females. We find male-female pairs from the very beginning of Luke’s Gospel. Among the Gospel writers he alone tells of the angel Gabriel appearing to both Zechariah and Mary to announce the conception of John and Jesus (Luke 1), and he shows both a man and a woman – Simeon and Anna – testifying in the temple about the Messiah’s birth (Luke 2). At the end of his Gospel, when we reach the death of Jesus, we see pairs or groups of both men and women as witnesses of his death, burial (Luke 23:50-56), and resurrection (Luke 24:1-12). Between these opening and closing frames, Luke fills his Gospel with carefully selected pairs of men and women. Not only is this pattern found in the key reference to the fact that the disciples who travelled with Jesus included a group of women as well as a group of men (Luke 8), but we find it time and again in the description of Christ’s miracles. In Luke 4:31-39 we find that the healing of a possessed man is followed by the healing of Simon Peter’s mother-in-law. In Luke 7:1-17 the healing of the Centurion’s servant is followed by that of the son of the widow of Nain. And in Luke 13:10-17 the healing of a crippled woman on the Sabbath day is directly followed by the healing of a crippled man on another Sabbath (Luke 14:1-6). The pattern is clear. From the birth of Jesus through his ministry to his death and resurrection Luke is clearly intentional in balancing stories that give equal inclusion of women and men in the same or similar circumstances. The conscious pairing of men and women in the events of Christ’s life is also found in Luke’s description of the teachings of Jesus. Instead of simply using single-gender examples to illustrate his teachings – as was usual in the culture of the time – Luke shows that Jesus frequently used pairs: “men and women,” “husbands and wives,” “fathers and mothers,” “fathers-in-law and mothers-in-law,” “sons and daughters,” and “sons-in-law and daughters-in-law” in his teaching. Luke also shows that Jesus continually utilized both male and female oriented illustrations to convey his teachings. For example, in the story of Jesus’ first public teaching in his hometown synagogue, he uses two stories with the same underlying message – that of the widow woman at Zarephath and the Syrian General Naaman (Luke 4:25-27). In the same way, Luke shows Jesus using both the story of the prophet Jonah in Nineveh and that of the Queen of Sheba as examples of Gentiles who believed (Luke 11:29-32). Even clearer than these instances of paired examples taken from the Old Testament is Luke’s recording of the paired nature of the parables of Jesus. For example, the parable of the shepherd and his lost sheep is paired with the parable of the woman with a lost coin (Luke 15:3-10). The same pattern is found in the parables of the growth of the Kingdom of God being like a man who plants a mustard seed in his garden and that of the woman who puts yeast into her bread dough (Luke 13:18-21). The example of two men resting together at night is directly followed by the example of two women grinding grain in the day (Luke 17:34-35). In these and in many other examples, Luke recorded parables that not only present their lesson from the point of view of both men and women, but also stress, by their conscious balancing, the equality of the experience of both male and female hearers. Scholars refer to this technique of repeating statements, changing the gender each time, as “complementary discourse” – a teaching method in which a statement or lesson is applied equally to both men and women. We find it recorded occasionally in the other Gospels, so it seems clear that Jesus used the technique in teaching mixed groups of men and women. But it is also clear that Luke, more than any other Gospel writer, went to great lengths to show Jesus’ continual use of the technique. “The Spirit of the Lord is on me, because he has anointed me to preach good news to the poor. He has sent me to proclaim freedom for the prisoners and recovery of sight for the blind, to release the oppressed, to proclaim the year of the Lord's favor” (Luke 4:18-19). Judean women in the time of Jesus were unquestionably frequently oppressed, but in the use of gender-paired examples throughout his Gospel Luke presents women in a new way – as a group set free through the life and work of Christ and demonstrated to be equal participants in the community of Jesus’ followers. A New FREE eBook For You! 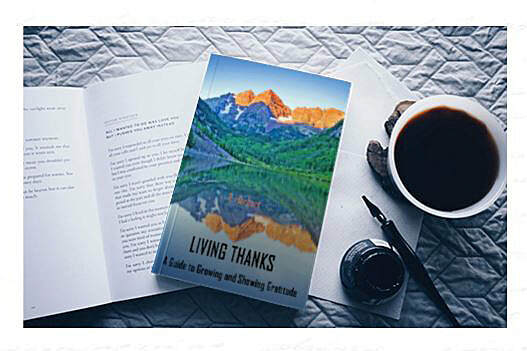 Living Thanks is available in three electronic formats for reading on any computer or eBook reader. Download your free copy (no registration or email necessary) from the Download page on our sister site here. One of the primary laws of success is not to try to pursue too many goals at one time. When we attempt many goals at once, we tend to stretch our efforts too thin – and if we are not careful, we can become mediocre in everything we do. As a result, many leadership experts stress that it is best to focus on one major goal at a time and to put most of our efforts into that single, primary, goal. So how does this fact balance with what we are called to do in our Christian lives? The apostle Paul actually gives us at least three major goals for which we should be aiming – and we are not given the luxury of tackling one goal at a time! But let’s look at those biblical goals and then consider how we can fulfill them without lessoning our success with any one of them. Goal One: Perhaps the primary goal Paul gives every warrior of the Way is to glorify God. The apostle made it clear when he wrote: “So whether you eat or drink or whatever you do, do it all for the glory of God” (1 Corinthians 10:31). In context Paul is talking primarily about food and drink, but the words “whatever you do” add a breadth of application that clearly means we are to glorify God in everything we do – and of, course, everything we think or say. That’s a huge goal, but it meshes perfectly with what Jesus himself said about the greatest commandment being to love God (Matthew 22:36-38). If we truly love God, we will be seeking to glorify him in every aspect of our lives. Goal Two: Although the first goal of the Christian life we looked at is already incredibly broad, we can now add on a second goal: helping and strengthening others. Just as Jesus taught that after love of God we must love our neighbor (Matthew 22:39), so Paul stresses the importance of loving others through helping them in whatever way we can: “Therefore, as we have opportunity, let us do good to all people, especially to those who belong to the family of believers” (Galatians 6:10). We should note that Paul urges us not only to apply love in our dealings with everyone – but also especially to do what we can to strengthen fellow believers. Goal Three: We already have two major goals to contemplate, but Paul adds a third one: being a light to unbelievers. This is fulfilling the “Great Commission” Jesus gave his disciples before his ascension (Matthew 28:18-20), and it is called a “great” commission or goal for good reason. As Paul wrote: “For so the Lord has commanded us, saying, “I have made you a light for the Gentiles, that you may bring salvation to the ends of the earth” (Acts 13:47 and see also Acts 26:18, Philippians 2:14-16). In a figurative sense, of course, “Gentiles” includes all who are not part of “spiritual Israel” (Galatians 3:7, 6:16, etc.) – in other words, all unbelievers – another huge goal. So the biblical evidence is clear. As Christians, we are given not one, but at least three major goals, and we are expected to fulfill them all! But given what we said at the beginning of this article, how can we possibly fulfill three such massive goals without diluting our efforts and producing only mediocre results in what we accomplish? Fortunately, the Bible answers this question in a very encouraging way. Unlike physical goals which usually require focused attention and effort that can be applied in only one area or another, the New Testament makes it clear that if we are diligently working toward one of the three goals we have been given, we will, in effect, be working toward them all. Consider a small example of this. In the Sermon on the Mount, Jesus taught his disciples: “… In the same way, let your light shine before others, so that they may see your good works and give glory to your Father who is in heaven” (Matthew 5:16, ESV). Did you see it? If we are fulfilling the goal of letting our light shine before others, we will also be fulfilling the goal of bringing glory to God! Paul made exactly this same point when he wrote that through the spreading of the word: “… the grace that is reaching more and more people may cause thanksgiving to overflow to the glory of God” (2 Corinthians 4:15). Putting this example in a practical context means that helping a stranger or a fellow believer in some way not only fulfills the goal of serving and helping others, but our action also glorifies God – whether the person we help knows we are a Christian or not. A little reflection on the three goals we have been given will show that every one of them overlaps and interacts with the others in the same way. This does not mean that we need only attempt to do one of the things we have been given to do in our Christian lives, but it helps us to see that unlike attempting physical goals we can successfully accomplish multiple spiritual goals at once. That is one of the most encouraging things we can know about the Way to which we have been called, and it is a powerful antidote to feeling that we are responsible for managing long lists of spiritual goals. We are given multiple goals, but when we strive to fulfill any one of them, very often we are working on fulfilling them all. The words of the “First and the Last” to Christians in the city of Smyrna in Asia Minor recorded in Revelation 2:10 are words that we can all profit from. The message doubtless had specific application to its original readers, but its core is one which applies to us all. We see this truth in the words that directly follow the statement not to fear and to be faithful: “He who has an ear, let him hear what the Spirit says to the churches…” (Revelation 2:11). So how does the message apply to us today? Jesus does not just say “Don’t fear and I’ll give you the crown of life” and he doesn’t just say “Be faithful and I’ll give you the crown of life” – he says both. These dual commands are based on the fact that fear and faithfulness are opposites that cannot coexist. If we are faithful in our behavior, we gain spiritual confidence that banishes inner fear. On the other hand, if we live in fear, we often end up compromising our beliefs and being unfaithful in some way. This is easier to understand when we realize that “do not fear” is just another way of saying “have faith.” So “Do not fear … Be faithful…” is simply saying “Have faith and be faithful.” Faith and faithfulness together make up the sum total of Christian responsibility of inward belief and outward behavior. But the two qualities are not independent of each other in our lives. Faith leads to faithfulness and faithfulness leads to faith. The apostle John reiterates the necessity of both faith and faithfulness later in the book of Revelation when he writes: “Here is a call for the endurance of the saints, those who keep the commandments of God and their faith in Jesus (Revelation 14:12, emphasis added). We must remember that we are saved through faith, not faithfulness, but the book of Revelation makes it clear that faithfulness is involved in our reward – in the crown of life we are offered, and in the identity of the saints of God who will not only be saved, but also crowned. Who is the “Elect Lady” the Apostle John Wrote to? While the apostle John wrote his first epistle as a major work on Christian doctrine and practice to an unspecified or unlimited group of Christians he calls “my children” (1 John 2:1), the much shorter second and third epistles attributed to John (the two shortest books in the Bible) clearly are much more like actual short letters sent to individuals. They are named as such, of course, 3 John being addressed to an individual named “Gaius” (3 John 1:1) and 2 John being written to “…the elect lady and her children…” (2 John 1:1 ESV). We do not know who the “elect lady” was to whom John wrote his second epistle, but the short letter provides a number of clues that can help us make an educated guess. Most biblical commentaries suggest that the elect lady could have been a wealthy or influential early Christian who may have supported John’s evangelistic work. Several such women supported the work of Jesus (Luke 8:1-3), and John’s comment regarding something that the lady knew – “As you have heard from the beginning” (2 John 1:6) – could even indicate that she was one of those same supporting women. Many commentaries also consider the possibility that the term “elect lady” is used metaphorically of the Christian Church by John – who himself refers to the Church as a woman in the book of Revelation (Revelation 12:1-17). But this possibility, while it is a commonly accepted one, does not fit well with some of the things John writes in 2 John. For example, in his command: “If anyone comes to you and does not bring this teaching, do not take them into your house or welcome them” (2 John 1:10), we would expect “houses” if the letter were written to a church. Similarly, the expression “I hope to visit you and talk with you face to face” (2 John 1:12) hardly sounds like something that would be said to a group. And it would seem strange indeed, if the woman’s “children” (2 John 1:1) were really the members of the congregation, for John to say: “It has given me great joy to find some of your children walking in the truth” (2 John1:4, emphasis added). But there is another possibility that we should consider: that “the elect lady” to whom John wrote was actually Mary, the mother of Jesus. We know that in his dying hour Jesus gave the care of Mary over to his disciple John (John 19:26-27), and tradition tells us that John did indeed care for Mary after Christ’s death and resurrection. The fact that John offers spiritual advice and counsel to the elect lady in his letter by no means suggests that she could not be Mary, when we properly understand John’s role as both a senior apostle and the one entrusted with Mary’s care. It is perhaps only if we elevate Mary the mother of Jesus more than we should elevate a human individual that John’s counsel might seem in any way presumptuous. In any case, John offers no correction in his letter, simply encouragement not to doubt the divine sonship of Jesus because: “many deceivers, who do not acknowledge Jesus Christ as coming in the flesh, have gone out into the world” (2 John 1:7). Such encouragement might be particularly apt for the mother of Jesus. Many other details of 2 John fit the possibility that the lady could have been Mary. The Greek term used by John in calling the lady “elect” was eklektos: “picked out” or “chosen.” While this word could be used of any called Christian – and is used this way in verse 13, and in Matthew 22:14, etc. – the term obviously applied with special historical significance to Mary as the mother of Jesus (Luke 1:26-48). The expression “As you have heard from the beginning” (2 John 1:6) would also obviously apply to her, as would John’s desire to visit her and see her “face to face” (2 John 1:12) if he wrote the letter while traveling for an extended time. Most significantly, John’s statement that the elect lady was someone “whom I love in the truth—and not I only, but also all who know the truth” (2 John 1:1) fits Mary in a way that cannot be said of any other individual Christian woman. What woman would be known by all Christians more than the mother of Jesus? And what woman would be loved by all believers more than Mary, the mother of Jesus? There are other possible clues in 2 John that make Mary a likely candidate as the addressee of this letter. John’s statement that “The children of your sister, who is chosen by God, send their greetings” (1 John 1:13) potentially fits Mary who, as John 19:25 tells us, had a physical sister. Also, “It has given me great joy to find some of your children walking in the truth” (2 John 1:4) certainly fits the fact that some of the brothers of Jesus (Mark 6:3) were converted (Acts 1:14) and eventually became prominent figures in the early Church (Galatians 1:9). So, while it is possible that the apostle John wrote his second epistle to an unnamed and relatively unknown individual Christian woman who supported the work of the Church, there are problems accepting that as being likely. In the same way, while it is possible that the “elect lady” represented not an individual woman but a local congregation or even the whole Church, there are reasons why this may not be likely, also. On the other hand, while we have no proof that 2 John was written to Mary, the mother of Jesus, there is nothing within the letter that would discount that possibility – and much that fits it well. ​When we think of parables it is usually the parables of Jesus that come to mind. His parables were one of the most characteristic features of his ministry. Yet they are not the first parables to be found in the Bible – parables were an essential part of the religious teaching of ancient Israel. The book of Hosea tells us, for example, that God: “... spoke to the prophets … and told parables through them” (Hosea 12:10). If we learn to recognize them, we can actually find this form of teaching throughout many books of the Old Testament; and understanding its nature can help us better understand the parables that Jesus gave. The key to recognizing true biblical parables in the Old Testament (as opposed to figurative or metaphorical statements, short riddles, or stories with an obvious moral) is that a true biblical parable has two parts. In the first part – called the mashal in Hebrew – a simple story is told for the sake of conveying a deeper truth. But that truth is never obvious in the story itself; it has to be revealed in the second part of the parable – called the nimshal – which provides the “key” to unlocking the parable’s meaning. The two parts of content and intent are only brought together at the conclusion of the narrative – which is why, of course, we read in the New Testament that Jesus often taught in parables and later explained them by providing the nimshal or key to his disciples (Luke 8:9, Mark 4:33-34, etc.). We see this two-part structure in one of the earliest parables of the Old Testament. The book of Judges records that the young man Jotham told the people of Shechem a detailed story of how the trees of the forest made themselves a king (Judges 9:7-15). When the parable is finished, he explains it by showing how the parts of the story fit their own political circumstances (Judges 9:16-20). We also see the two-part structure in the famous story that the prophet Nathan tells King David about a sinful rich man who took his poor neighbor’s only lamb when he had plenty of lambs himself. When David indignantly states that the evil man deserves death, Nathan provides the nimshal to the parable by simply saying “you are that man” – because David had taken the only wife of his general, Uriah (2 Samuel 12:1-4). In these cases, the connection between the mashal/content of the parables and their nimshal/intent is easy to grasp, but sometimes the Old Testament gives parables that would be very difficult to understand without the explaining “key” or the background we are given. Such is the case with the story of the two fighting brothers that was told to David by the wise widow from Tekoa (2 Samuel 14:1-7). In this story David’s general Joab carefully constructs a parable with a meaning we would not guess unless it is explained – as it is by the wise widow (2 Samuel 14:13-14). When we look for such stories that have to be explained in the course of the narrative in which they appear, we find many parables in the Old Testament. Parables were especially favored by the Hebrew prophets, and the book of Ezekiel, for example, contains at least nine of them. Isaiah also uses parables in his teaching, and some of these parables clearly influenced those given by Jesus. In Isaiah chapter 5 the prophet tells a parable of a vineyard and its bad fruit (Isaiah 5:1-6) which he then explains as being relevant to the nation of Israel (vs. 7). Although Jesus altered the details slightly in his parables found in Matthew 21:33–44 and Luke 13:6–9, the stories are recognizably similar, and their message is identical. “… clothed all who were naked among them. They clothed them, gave them sandals, provided them with food and drink, and anointed them, and carrying all the feeble among them on donkeys, they brought them to their kinsfolk at Jericho, the city of palm trees. Then they returned to Samaria” (2 Chronicles 28:15). In this simple narrative Jesus found the basis for one of the most profound of his parables, the lessons of which are far-reaching and apply in every age. But the greatest reliance of Christ’s parables on the Old Testament is found not in their use of Old Testament story plots, but in their use of imagery applied to God. Old Testament parables show God as a king, a father, a husband, and in other key ways. Of the somewhat more than forty parables of Jesus recorded in the New Testament, at least twenty metaphorically refer to him by means of the same imagery used of God in Old Testament parables and stories. 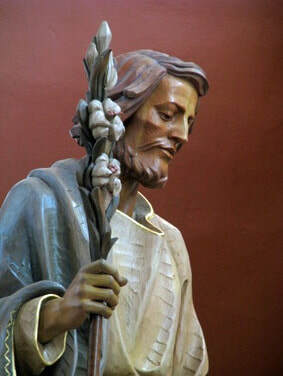 This self-portrayal with imagery used of God is unique to the parables of Jesus and ties directly to his teaching of his own messianic role. So the parables of the Old Testament are important not only in their own right in the stories in which they are found, but also in forming the basis for some of Jesus’ own parables, as well as providing images for his parables that Jewish hearers would associate with God when they understood the parables’ nimshal key or intent. But although there are numerous well-crafted parables in the Old Testament, there is no doubt that Jesus perfected the art of parable-telling and brought to the form a subtlety and spiritual depth that had not been seen before. The point of the quote above is an excellent one that bears reflection. Although Christian writer John Ortberg did not develop the analogy between gratitude and our physical taste-buds in the context of the quote, it’s a comparison that can be profitably explored. Our taste buds, containing the taste receptor cells that allow us to experience pleasure from what we eat and drink, are minor miracles of design and planning. The average human tongue has multiple thousands of these little cell clusters, and although most people are not aware of it, they are also found on the soft palate of the mouth, the upper esophagus, the insides of the cheeks, and the epiglottis at the back of the throat. Some people are also naturally blessed with heightened abilities of taste through having a greater number of taste buds than others. These people – representing about 20 percent of the population – are known to science as “supertasters.” Most of us (about 60 percent of the population) have an average numbers of taste buds, but another 20 percent of the population are known as “non-tasters” as they can have far fewer taste buds than average. But whatever our natural level of taste buds may be, it is a fact that anyone – even so-called “non-tasters” – can develop their ability to recognize and enjoy tastes. That ability to develop our sense of taste is the reason some people become connoisseurs of fine foods and wines. Those who train themselves in this way develop the ability to distinguish even the slightest differences among thousands of different tastes – and to appreciate and enjoy them to a heightened extent. Our sense of gratitude and appreciation is certainly no different. Although some people may seem to be naturally more appreciative than others (perhaps we could call them “super-appreciators”), the truth is that we can all develop our capacity for appreciation in life. And that is something, of course, that we are commanded to do in dozens of biblical verses. The apostle Paul’s words in Ephesians are only one example of many: "Giving thanks always and for everything to God the Father in the name of our Lord Jesus Christ” (Ephesians 5:20 ESV). How do we develop our “appreciation” buds to better honor this instruction to be appreciative for everything in our lives? We do it exactly as the connoisseur of fine foods or wines develops his or her taste buds to better appreciate tastes – we concentrate on them. Normally, we may not pay much attention to our physical taste bud sensors; but without them eating even the finest foods would be an experience no different from chewing sawdust or styrofoam chips. A life without gratitude and appreciation is no different – we derive no real joy from the things we receive, we fail to give thanks for them as we should, and ultimately we fail to give credit to God for the gifts themselves. On the other hand, when we learn to make a habit of focusing on the gifts we receive, we learn to properly appreciate them, to give thanks for them, and to credit them to God as we should. As the book of Psalms tells us: “The one who offers thanksgiving as his sacrifice glorifies me” (Psalms 50:23 ESV). God gives us the capacity for gratitude, but we must develop it. And that is something anyone (even those with naturally few “appreciation buds”) can do with practice. We may not choose to become connoisseurs of fine wines or foods, but the God who gives us all things (James 1:17) invites, encourages, and even commands us – for the sake of our own heightened enjoyment and his praise – to become connoisseurs of his gifts. Did All the Livestock Die or Not? “And the next day the Lord did it: All the livestock of the Egyptians died, but not one animal belonging to the Israelites died” (Exodus 9:6). “Give an order now to bring your livestock and everything you have in the field to a place of shelter, because the hail will fall on every person and animal that has not been brought in and is still out in the field, and they will die” (Exodus 9:19). In the narrative of the plagues sent on Egypt described in the book of Exodus, we are told that in the fifth plague “All the livestock of the Egyptians died” (Exodus 9:1-7), while later, in the seventh plague, Moses tells Pharaoh that any livestock not brought under shelter will be killed by a great hailstorm. If all the animals were killed in the fifth plague, how could there be animals left to shelter from the seventh? There are at least four possible answers to this seeming contradiction. First, strange as it may sound, the words “all” and “every” in Hebrew do not mean “all” or “every” in all cases. Just as in modern English we can say “Everyone was at the party” meaning a great many people or all the people of a certain type such as a group of co-workers, so in ancient Hebrew the words all and every sometimes simply mean the majority or a great many. Third, the exact wording of Exodus 9:3 is that “the Lord will bring a terrible plague on your livestock in the field …”, so it may be that livestock not in the fields would not be affected. The ancient Egyptians had extensive stables and holding areas for livestock, as many of the “fields” were covered in water during the annual inundation of the Nile. Fourth, we are specifically told that in the fifth plague none of the livestock of the Hebrews was affected (Exodus 9: 7), so it is very possible that by the time of the seventh plague the Egyptians had forcibly requisitioned many of these animals and now had them in their own fields. Given all these – and even other – possibilities, there is no reason we need see any contradiction between what Exodus tells us occurred in the fifth and seventh plagues. The fact that the supposed contradiction is an obvious one that occurs within a few verses indicates that the ancient Hebrews were fully aware of what was said but saw no problem regarding the situation. As a result, we need not either. After more than nine years imprisonment – on death row for most of that time – Asia (pronounced “ahseeya”) Bibi, the young Pakistani Christian woman who was charged with violating Pakistan’s anti-blasphemy laws, has been freed. Pakistan's Supreme Court finally ruled that Bibi had been falsely accused and that she was to be freed in October of 2018, but widespread and often violent reaction among the country’s Muslim population led to the Christian not being allowed to leave the country and the court’s decision being legally challenged. Thankfully, and despite great domestic pressure, the Supreme Court upheld its decision confirming Asia Bibi’s freedom and allowing her to leave the country – and potentially to travel to Canada where her children have already been relocated. The harrowing years of legal turmoil and possible execution for the young Christian field laborer and mother of five began in 2009 when Muslim co-workers who had sent her to bring water to them were upset that she drank some water from the same source, claiming that as a non-Muslim she had defiled it. When an argument erupted, the Muslim co-workers brought charges against Bibi of blaspheming the prophet Mohamad – using a notorious law that is often brought against non-Muslims. In its 56-page ruling, however, Pakistan's highest court found the accusation to be false saying “She appears to be a person, in the words of Shakespeare's King Lear, 'more sinned against than sinning. '” Pakistan’s Chief Justice, Asif Saeed Khan Khosa, went as far as to say that Bibi’s accusers were guilty of perjury and if the case hadn’t been so sensitive, they would themselves have been jailed for life. Bibi’s lawyer, Saiful Malook, who had to flee the country due to death threats, said the decision was a victory for Pakistan’s constitution and rule of law. We can and should be grateful for this resolution of Asia Bibi’s situation, but this young Christian field worker’s case well illustrates the plight of many Christians in Pakistan who are, like Bibi herself, often poor, illiterate, and without connections – making them easy targets for religious persecution. The anti-Christian forces within Pakistani society may now turn on Christians who remain in the country, and even more of the ongoing persecution is likely. Some 187 other Pakistani Christians remain in prison on the same charge of blasphemy. So, although the prayers of those who have faithfully remembered Asia Bibi over the last several years have finally been answered, now is no time to let down. We can and should give thanks for this young woman’s release, but we should also continue to remember the many Christians in Pakistan who still need our concern. * Update: Asia Bibi arrived in Toronto on Tuesday, February 5th, and has now been reunited with her family in Canada. ​Perhaps they are a reasonable deal, but I have always had a deep distrust of such “refurbished” items. Obviously damaged or defective parts might be fixed, but what about the long-term functioning of some of these items? It seems to me that a refurbished appliance just isn’t as trustworthy as one made new and made right. “No one sews a piece of unshrunk cloth on an old garment. If he does, the patch tears away from it, the new from the old, and a worse tear is made. And no one puts new wine into old wineskins. If he does, the wine will burst the skins—and the wine is destroyed, and so are the skins. But new wine is for fresh wineskins” (Mark 2:21-22). God did not issue a refurbished or revised edition of his Covenant, but introduced a totally new one (Hebrews 8:13). In a similar manner, the One who originally formed the human mind prefers to renew our outlook completely rather than just to affect an attitude “adjustment” or “refurbishment” (Ephesians 4:23). He prefers totally remade characters, too: “Therefore if any man be in Christ, he is a new creature: old things are passed away; behold, all things are become new” (2 Corinthians 5:17). In fact, he calls us to “… put on the new man, which after God is created in righteousness and true holiness” (Ephesians 4:24). Ultimately, we are told, God will establish new heavens and a new earth (Revelation 21:1-2), so it seems clear that he really prefers the new to the refurbished in every case. In fact, he says: “I am making everything new!” (Revelation 21:5). If the One who has called us will remake everything in his quest for the renewed and perfected, shouldn’t we look at our own lives that way? God clearly does not call us to be refurbished – with just the outer visible problems fixed, but with no real remaking of the inner person we are. So it’s a question we can ask ourselves as we go further into this new year: Are we content with just being refurbished each day, or are we striving to be truly made new? By R. Herbert, Living Belief Books, 2019. The so-called General Epistles are of immense importance to Christianity and to you personally. They were composed by the leading apostles of the early Church and significantly affect our understanding of Christian beliefs as well as being filled with a great deal of practical advice in Christian living. Yet despite their importance, many people do not know these biblical books as well as they might. Our new eBook looks at specific lessons we can learn from the General Epistles and may significantly increase your understanding of these treasures of the New Testament. ​You can download copies in three formats for reading on computer, phone or eBook reader. ​As always, the downloads are free and do not require registering or emails – just click on the file you wish to download. Download a copy here. Many internet bible sites regularly publish lists of their most frequently searched-for scriptures – the well-known Bible verses such as John 3:16 that people look up and read more often than others. That can be interesting information and can show us regional differences, for example, in what people are searching for in the Bible. But in this article we are looking at something entirely different – the passages of scripture most quoted by the biblical writers themselves. If we believe in the inspiration of the biblical writings, then we could also say these are the passages that were most often quoted under inspiration of the Spirit of God – or, put another way, the verses to which God most frequently referred! So what are those verses? There is no question as to their identity as two verses stand out above all others. Among the writers of the Old Testament, the most commonly quoted verse is found in the book of Exodus: “maintaining love to thousands, and forgiving wickedness, rebellion and sin …” (Exodus 34:7A). These memorable words were spoken to Moses by God regarding a central aspect of his own identity. They appear again at Numbers 14:18-19 where Moses reminds God of them, and they are quoted repeatedly in the writings of the later biblical writers. The passage is quoted, for example, three times in the book of Psalms alone. In Psalms 86:15 David quotes it in a prayer for God’s mercy, and in Psalms 103:8 and 145:8 he quotes it again in praising God’s deeds. The prophets Jonah (4:2), Joel (2:13), Micah (7:18) and Nehemiah (9:17, 31) all quote it,and it is alluded to in other verses such as 2 Chronicles 30:9 when King Hezekiah urged the people of Judah to return to God. When we turn to the New Testament we also find a verse that is quoted more often and by more New Testament writers than any other. That verse is found in the book of Psalms: “The Lord says to my lord: ‘Sit at my right hand until I make your enemies a footstool for your feet’” (Psalm 110:1). This verse is quoted or alluded to some 23 times by seven of the nine authors of the New Testament, and the much-quoted words “the Lord says to my lord” were often used by the Christian writers as an expression of the divine nature of Jesus Christ alongside God. In Matthew 22:44 we see that Jesus himself referred the Pharisees to this verse to make the point that the Messiah is more than David’s son – he is also David’s Lord. Psalm 110:1 is also an expression of God’s ongoing purpose in history. The words "Sit at my right hand until I make your enemies a footstool for your feet" were used frequently from the beginnings of Christianity. The book of Acts shows us that Peter included them in his sermon when the New Testament Church was founded on the Day of Pentecost (Acts 2:32-36) specifically to show that “God has made him both Lord and Messiah, this Jesus whom you crucified” (vs.36). Peter and Paul repeatedly use the verse or allude to it in their writings. Paul, for example, refers to it in stressing the basis of the kingdom of God (1 Corinthians 15:22-25). We know historically that the earliest Christian confession was simply “Jesus is Lord!” and this confession was primarily a declaration that Jesus had been enthroned at God’s right hand as Lord and King – the very substance of Psalm 110:1. So these two verses – Exodus 34:7 and Psalm 110:1 summarize the nature of God and the nature of his Son. The two tie together in many ways, of course. Both foreshadow many other verses. So it is hardly surprising that we find them as often as we do and that they are truly “favorite” biblical verses. Of course, we have no way of knowing which verses in the Bible are really “God’s favorites,” but it is certain that the two verses we have looked at here were regarded as being of tremendous importance in setting out the message of the Scriptures – not just by us, its readers, but by the biblical writers themselves. When we think of the book of Revelation, the first things that come to mind are mysterious symbols and apocalyptic imagery. But one of the book’s most significant characteristics may be one we tend to miss: a consistent message of hope to the persecuted church. Persecution is described in all parts of Revelation – from its opening chapters to the final attack on Jerusalem – and the historical context of Revelation provides a reason for this. John’s apocalyptic writing most likely dates to the AD 90’s, during the reign of the Emperor Domitian. The persecution of Christians reached a climactic level at this time, many Christians were executed, and John himself was banished to the Island of Patmos. When we see this historical context clearly, we begin to grasp the importance of the message of hope-despite-persecution within Revelation. We see it in John’s personal introductory words to his fellow believers: “I, John, both your brother and companion in the tribulation and kingdom and patience of Jesus Christ…” (Revelation 1:9) – words which set the tone for the whole book. We especially see this theme of endurance under persecution in the letters to the Seven Churches in Revelation’s second and third chapters. The letters are written in the form of imperial edicts, but John makes it clear that Jesus is the king of kings (and emperors) to whom we must listen. Just as Imperial Roman edicts proclaimed, for example: “Hear what Domitian says …,” so the letters of Revelation all include “… hear what the Spirit says to the churches” (Revelation 2:7, etc.). Just as imperial edicts would often say “I know what you have done” to their recipients, so the seven letters repeatedly stress Christ’s words: “I know your works” (Revelation 2:2, etc.). 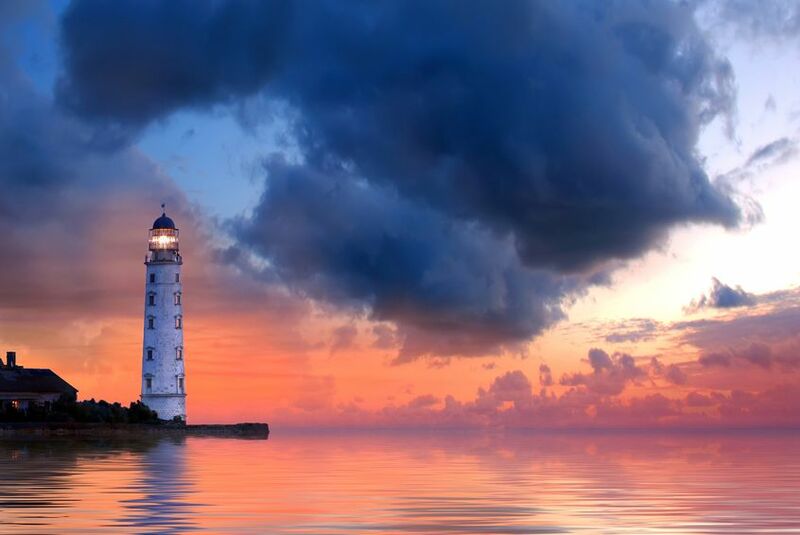 The letter to Smyrna, for example, makes this theme clear: “I know your works, tribulation, and poverty … Do not fear any of those things which you are about to suffer….and you will have tribulation ten days. Be faithful unto death, and I will give you the crown of life” (Revelation 2:9-10). 1) The letters to the seven churches – except for Sardis and Laodicea – all contain encouragement regarding perseverance in the face of persecution. Sardis and Laodicea are the two churches where persecution is not mentioned and are also the two churches that are said to be either asleep or blind. 2) Conversely, each church is given some correction – apart from Smyrna and Philadelphia, which we know historically were the two most persecuted churches. Of the seven churches, the most fiercely persecuted congregations are the only ones praised without reproach. These facts remind us that we must never presume persecution comes upon believers because they are not sincere or righteous enough. If anything, Revelation indicates the opposite – that churches that do not experience persecution of any kind may not be spiritually active or alive. This is not just a message regarding persecution in John’s time (Revelation 1:19). Today, Christianity is the most persecuted religious faith in the world. It has been calculated that more people died for their belief in Christ during the last century than in all nineteen previous centuries, and in the 21st century the number of Christians suffering persecution has increased even more. But if there is a single, unifying message in Revelation’s letters to the churches, it is that God sees their trials and promises that whatever is taken from them by persecution will be returned in the Kingdom at an infinitely greater level – whether relationships, positions, possessions, or life itself. During the course of this past year we published well over a hundred blog posts here and on our sister site. Jesus, Friend of Sinners: But How? Where Is Jesus in the Epistle of James? Does the Existence of Evil Prove There Is No God? How Old Were the Disciples? ​Despite his position as the human father figure in the family of Jesus, Joseph is perhaps one of the least known heroes of faith. In mainstream Christianity he is represented in countless Christmas scenes and crèches each year, but then largely disappears from view. Even from the perspective of the Gospel writers (who doubtless desired to stress the true nature of Christ’s parentage), Joseph appears as a somewhat indistinct third member of the family mentioned in only a few scant verses before and after the Nativity. Yet a number of important facts can be deduced regarding Joseph’s character of faith. Although apparently a humble and practical man (the Greek word tekton which is applied to him can mean a worker in a number of trades other than just “carpentry”), Joseph was a descendant of King David (Matthew 1:20) and clearly a man of great integrity. When we are first introduced to him we are told “… Mary was pledged to be married to Joseph, but before they came together, she was found to be pregnant through the Holy Spirit. Because Joseph her husband was faithful to the law, and yet did not want to expose her to public disgrace, he had in mind to divorce her quietly” (Matthew 1:18-19). We see that although Joseph was a God-fearing man who was faithful to the observance of the Mosaic law (which in this situation would have punished Mary), he was also a man who was willing to follow first and foremost the law of love. Rather than reacting to Mary’s pregnancy with indignation – especially to protect his own reputation – Joseph’s desire to divorce Mary “quietly” is a clear indication of the degree of his compassion and decency. When Joseph’s kindness was rewarded by a dream in which an angel explained the divine origin of Mary’s pregnancy, he accepted the role he had been given without hesitation (Matthew 1:24). We then hear nothing of him until the events surrounding the nativity of Jesus. Some time after Jesus’ birth, Joseph was again instructed by an angel in a dream – this time to flee with Mary and the infant Jesus. “So he got up, took the child and his mother during the night and left for Egypt, where he stayed until the death of Herod … After Herod died, an angel of the Lord appeared in a dream to Joseph in Egypt and said, ‘Get up, take the child and his mother and go to the land of Israel, for those who were trying to take the child’s life are dead.’ So he got up, took the child and his mother and went to the land of Israel” (Matthew 2:13-15, 18-21). Joseph clearly experienced more than the average new parents’ share of lost sleep due to the multiple dreams in which he was told to get up and do something – yet in every case we see him reacting obediently and at once. In each situation we see things being commanded of Joseph which were of potential danger or loss to him and his family, especially considering the difficulties of travel in that day, yet he responded quickly with faith in every instance. We see Joseph only one further time in the Gospels, leading his family to the Passover festival in Jerusalem when Jesus was twelve. After that he disappears from the narratives, so it is usually presumed that he died at some time before Jesus began his ministry. Mary continues to be mentioned, of course, and it is due to these extra references, and those in earlier narratives, that we feel we know her better than Joseph. Yet Joseph must have had many excellent qualities to have been selected with ultimate care and knowledge, along with Mary, as the human parents of God’s Son. We can presume that Joseph was an excellent human father figure and male role model for the growing Jesus, and despite the lack of many details we certainly see him as a man of warmly accepting love and also of deep faith, who could be trusted to act firmly and without delay when his faith required it. The holiday season and the end of the year is traditionally a time for giving to help those less fortunate than ourselves, and even many people who do not normally give to charitable causes throughout the year give at this time. But whenever we choose to give, we can increase the power of our gifts – large or small – by using tactics that function as force multipliers to increase the effectiveness of what we can give. There are a number of tactics we can use in this way, but in this post we will look at just three. First, and most importantly, we can ensure that we are giving wisely There are so many causes clamoring for our money that it can be confusing trying to select a worthwhile one, but it is vital that we do. Unfortunately, there are many registered charities that spend massive amounts of the money they receive on overheads and administrative expenses so that in some cases only a small fraction of what is given actually gets to those for whom the help was intended. In other cases, overheads may be relatively low but large amounts of funding go to peripheral causes that are not the activities we want to support. That is why the use of a good charity ranking organization such as CharityNavigator.org is imperative if we want to make what we can give have maximum effect and not be wasted or diverted. There are several charity ranking organizations, but the Charity Navigator site clearly and simply details how charities spend the money they get and shows what percentage of those funds actually go to the programs they claim to support. The site grades each charity with a score that is simple to compare with the scores of other charities. Charity Navigator also provides carefully prepared lists of different types of charities – including a great list of charities that they have ranked with 100% scores. Assessing this information does not take long and can transform our giving in terms of what it actually accomplishes. That sometimes means being on the lookout for newer and likely smaller charitable organizations that may not even be rated yet, but in many cases we can still find out enough about the organization to warrant our support. A great example is the Children in Christ Ministry that is carrying the Word of God to whole people groups that have not heard it by means of childrens’ clubs and other innovative ways. Although this smaller charity is not numerically rated by Charity Navigator yet, it is possible to find plenty of information showing how effectively and cost effectively it functions (the CEO even works on a volunteer basis), so you know that contributions are truly accomplishing something. Finally, we can often give more than we think we can because giving doesn’t just have to be about money. Perhaps we can increase the power of our gifts by sharing products we produce or by giving items we no longer need – or don’t need as many as we have. Most people are aware of the opportunities to give in these ways through the food banks, Salvation Army or other helping agencies in our own communities, but we may not be aware of some of the excellent charities that send products and lightly used items to distant places around the world where the needs may be far greater than those of our own communities. An example of this kind of charity is Matthew 25: Ministries (another Charity Navigator 100% rated charity) which aims to help “a needy world with the things we throw away.” This innovative charity collects and passes along used items that can truly help those in need nationally and internationally – including things we may not often think of such as empty prescription pill bottles which are sent to areas where what medicines are available are often literally wrapped in leaves or paper and subsequently are spoiled through moisture and in other ways. Yet another organization, Christian Resources International, specifically focuses on sending used Bibles and religious books to areas where they are not generally available. All these tactics require thought and perhaps a little time on our part – but they are simple things that can make a very real difference. So if you choose to give this season, think about the advantages of giving wisely, boldly, and in more ways than just cash. The effectiveness of our giving can be doubled if we do. Benaiah son of Jehoiada, a valiant fighter from Kabzeel, performed great exploits. He struck down Moab’s two mightiest warriors. He also went down into a pit on a snowy day and killed a lion. And he struck down an Egyptian who was five cubits tall. Although the Egyptian had a spear like a weaver’s rod in his hand, Benaiah went against him with a staff. He snatched the spear from the Egyptian’s hand and killed him with his own spear. Such were the exploits of Benaiah son of Jehoiada; he too was as famous as the three mighty warriors. He was held in greater honor than any of the Thirty, but he was not included among the Three. And David put him in charge of his bodyguard (1 Chronicles 11:22-25). Take a minute to consider these exploits. The son of a famous warrior, Benaiah ended up excelling his father’s deeds. Living in a time when ancient Israel was frequently attacked by surrounding nations, he is first said to have killed the two greatest warriors of Israel’s arch-enemy Moab. We don’t know if he fought these enemies separately or together, but the Hebrew term used of them seems to imply that they were “lion-like.” Yet that is only the beginning of Benaiah’s reputation. We are also told that Benaiah slew a giant Egyptian warrior who was doubtless part of an invading Egyptian force. This man is said to have been of great height – approximately the same as the famous giant Goliath that David himself had killed – but it seems that Benaiah was armed only with a staff and that either through cunning or sheer strength he snatched the Egyptian’s huge spear and killed him with his own weapon. But the most notable of Benaiah’s feats is that he “went down into a pit on a snowy day and killed a lion.” This is the deed we need to think about in order to truly appreciate its magnitude. We are not told why Benaiah slew this fierce animal, but at that time lions frequently preyed on flocks and herds (1 Samuel 17:36), and this predator may well have been endangering the people of the area where the incident took place. Whatever the reason Benaiah ended up fighting the lion, this story gives us some important details about the contest. Military ground operations must always take three major factors into account: the strength of the enemy, the terrain – including options for mobility and withdrawal, and the ambient conditions (fog, smoke, bad weather, etc.). If any one of these factors is disadvantageous, military units must operate with great care. In Benaiah’s case, all three of these factors were against him. The simple statement “a lion in a pit on a snowy day” indicates an enemy of vastly superior strength, in very difficult terrain, and with very negative ambient conditions. These combined conditions meant that on the snowy day visibility may have been limited by flying snow. Being in a pit meant that the sun would not melt ice on the ground, making it easy to slip, plus the fact that the wind would likely have blown more snow into the pit where it could have become quite deep – making it hard to move. 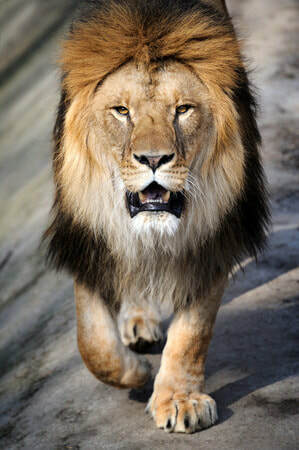 These are all very difficult conditions in which to find oneself: in a pit, facing a lion, with no easy way of retreat. Keep in mind that a fully grown lion can smash a human skull with a swipe of one of its paws and can bite completely though a human body. The lion may have been trapped in the pit, but once Benaiah entered it, so was he. Any person with a tactical background knows that the simple biblical description of this contest indicates what a huge victory it was for Benaiah. Even with these great exploits, Benaiah was not one of David’s three top generals at this time. However, he is said to have been greater than the king’s top 30 fighters and, perhaps not surprisingly, to have been made the commander of the king’s bodyguard. But there is one final detail that is often overlooked regarding the hero Benaiah. 1 Chronicles 27:5 tells us that “… Benaiah [was the] son of Jehoiada the priest. He was chief and there were 24,000 men in his division.” Both Benaiah and his warrior father were Levites and his father is actually said to have served as a priest. Perhaps we might not expect an individual with this priestly background to have taken on the enemies he did – including lion-like warriors and an actual lion. But the story of Benaiah, like that of David and Goliath, is one of several accounts given in the Old Testament that show the connection between faith and fearlessness – of active, tactical involvement in life and the willingness to take on real problems and enemies. In that sense, Benaiah is the story of a religious man who was not afraid to fight to help others. Thankfully, in our own day we do not have to fight lions, but the battles are out there for the warriors who are willing to fight them in faith. We have all seen pictures of Jesus teaching the disciples – adult males about the same age as Jesus himself. But is this representation of the disciples accurate, or could the disciples have been significantly younger? We should always remember that only one part of Jesus’ calling and training of disciples was unique – the calling. In Judaism of the first century many rabbis or teachers taught students and trained them to be rabbis like themselves. The major difference was that young men wanting to be taught in this way usually sought out a teacher. Jesus, on the other hand, directly called his students himself – something he stressed in his teaching (John 15:16). But apart from this aspect of “student selection” Jesus’ role as a rabbi or teacher was not unusual for its time and it is worth remembering that most students selected by rabbis were younger – commonly in their later teens. It is perfectly possible, therefore, that a number of Jesus’ disciples were younger than we usually presume and there is some biblical indication that this might have been the case. The apostle John is known to have lived till very late in the first century, but while we presume he was perhaps younger than the others we should remember that the other disciples seem to have been martyred earlier in the century – very possibly well before they would normally have died. Also, consider the interesting story regarding the occasion Jesus and his disciples went to Capernaum and the collectors of the two-drachma temple tax came to Peter and asked, “Doesn’t your teacher pay the temple tax?” Jesus then told Peter to catch a fish – which miraculously had a four-drachma coin in its mouth – and to pay the tax for Jesus and for himself (Matthew 17:24-27). It might seem odd that Jesus only provided the tax money for Peter and himself and not for the other disciples – until we realize that the tax only had to be paid by those aged 20 and above. So it is possible that Peter alone of the disciples was older – a possibility which may throw light on the fact that Peter seems always to be the one who speaks for the other disciples Acts 2:14-36, etc. ), why he is the only disciple said to be married at the time of Christs’ ministry (Matthew 8:14-17, etc.) and why he was given such a prominent role in the period of the very early Church (Galatians 2:9). If many of the disciples were in fact younger than we often think, this would have had no bearing on their ability to act as witnesses of the resurrection. Jewish law accepted the witness of young men down to the age of bar mitzvah which usually was in the early teens. Ultimately, the age of the disciples does not matter or we would have been told what age they were. On the other hand, recognizing the possibility of the relative youth of most of Jesus’ chosen followers can help us understand some things that might otherwise seem unclear in the New Testament. But returning to how young Jews became students of a rabbi, it is helpful to remember that young men did not simply turn up at a rabbi’s door and expect to be taught. There were relatively few rabbis and many young men. Those who sought out a rabbi to follow were examined and tested by the older teacher and only a select few were chosen. Being selected to follow a rabbi and to continue his teaching was viewed as an exceptional honor in that society – perhaps indicating why we are told many of the disciples Jesus chose dropped everything they were doing and followed him immediately (Matthew 4:18-22). Maybe there is a lesson in this for us today. Whatever the age of Jesus’ disciples at their calling, it is certain that the opportunity would have been regarded as a great honor and privilege – to be one of so few selected from so many. Perhaps, in terms of our own lives and calling, that is something we need to remind ourselves of more often. ​In many ways, gratitude is the most important of all the good character traits. It is the most indispensable trait to both happiness and goodness. One can neither be a happy person nor a good person without gratitude. The less gratitude one has, the more one sees oneself as a victim; and nothing is more likely to produce a bad person or a bad group than defining oneself or one’s group as a victim. Victims, having been hurt, too often believe they have a license to hurt others. As for happiness, if you think of all the people you know, you will not be able to name one who is ungrateful and happy. The two are mutually exclusive. From The Rational Bible: Exodus by Dennis Prager. “Love is patient, love is kind. It does not envy, it does not boast, it is not proud. It does not dishonor others, it is not self-seeking, it is not easily angered, it keeps no record of wrongs. Love does not delight in evil but rejoices with the truth. It always protects, always trusts, always hopes, always perseveres. Love never fails …” (1 Corinthians 13:4-8, emphases added). Now why did Paul do this? Why did he not simply list all the good things that love is rather than listing positive and negative aspects of what love is and is not? Some have guessed that Paul was applying his description of love to the Corinthian church to which his letter was sent – to what the Christians there were getting right and what they were not. But 1 Corinthians 13 clearly has wider application that just any one church group, and the previous chapter shows that Paul has the whole church in mind as the context of what he is saying (1 Corinthians 12:27-31). So what was Paul’s point in giving us this “split vision” of the characteristics of love in this, his fullest description of the greatest spiritual quality? One simple answer is found in the rabbinic teaching style of Paul’s day and, in fact, throughout much of the Bible. Positive and negative expressions of important teachings and commandments were frequently put in juxtaposition in this way. We only have to look at the Ten Commandments (Exodus 20:1-17) themselves to see the same kind of positive (“You shall …”) and negative (“You shall not …”) expressions. The same method is found throughout the teaching of Jesus and is particularly clear in the Sermon on the Mount (Matthew 5-7) – as when Jesus taught “…when you pray do not … But when you pray …” (6:5-6); “when you fast do not … But when you fast …” (6:16-17); etc. Paul also uses this same method on several occasions – for example, when he speaks of the Spirit of God which “… does not make us timid, but gives us power, love and self-discipline” (2 Timothy 1:7). But the fact that this was a common teaching technique of Paul’s day does not mean there is no lesson to be learned from his use of both positive and negative methods of expression in his description of love. We must always remember that Paul’s discussion of the qualities of love, and the whole of the chapter in which it is found, is given in the context of spiritual gifts. The love he speaks about is spiritual rather than physical love, and Paul’s list reminds us that this kind of love is not like human love. If we look closely we see that his list shows that spiritual love is not about the feelings involved in relationships, but about the actions that take place in them. Not a single one of the qualities of love that Paul gives is about our feelings for someone. Paul’s description of love is actually a powerful corrective to the idea that spiritual love is an amorphous feeling that somehow guides us into being “nice” or “good” people through an elevated form of “liking” or “feeling good” about others. In fact, some of the things Paul says – such as the fact that this kind of love “is not easily angered” and “keeps no record of wrongs” – indicate that it may be applied to people with whom we do not feel much affinity just as much as to people we do like. Part of our inability to recognize the dynamic and much more powerful nature of the spiritual love Paul talks about lies in the fact that in English the word “love” often simply means “like.” We say we love pizza, or we love the color blue, or we love a person because our concept of love involves our feelings toward something or someone. But Paul’s use of love, as we see so clearly in his list of its qualities, has nothing to do with feelings toward anyone – only our actions toward them. This is something we must always remember. No matter how warmly we feel about anyone, if it is a feeling, it is physical love. To love with spiritual love is to act toward others– just as God acted when he “… so loved the world that he gave his only begotten son… ” (John 3:16, emphases added). So Paul’s list of the various qualities of love teaches us that spiritual love is entirely about how we behave and how we treat others. By stressing the negatives that spiritual love protects us from just as much as he stresses the positive aspects of love, Paul shows us that real love produces loving actions and precludes unloving actions. The great “love list” of 1 Corinthians 13 shows us in a concrete way what spiritual love is and what it is not. What’s the difference between our two websites – TacticalChristianity.org and LivingWithfaith.org ? It’s a question we are sometimes asked, so we thought we would explain! Tactical Christianity.org was our first website, launched in October, 2013. Then, a few months later – in January 2014 – we launched LivingWithFaith.org. Both websites are non-denominational, non-profit, and dedicated to making the Bible clear and meaningful in everyday life. 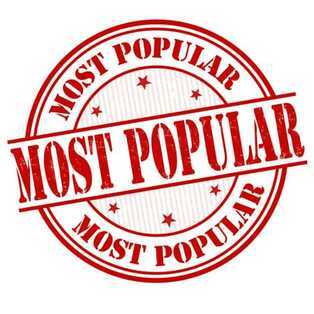 Both sites have hundreds of articles and blog posts on a great many subjects that are easily accessible through the site indexes and blog archives. Both sites receive hundreds of thousands of visitors from almost two hundred countries around the world. So why two websites, and what’s the difference between them? The main difference is one of approach and type of material covered. TacticalChristianity (as its name might suggest) concentrates more on topics having to do with Christian living, while LivingWithFaith (as its name might also suggest) tends a little more to matters of faith and belief. That doesn’t mean that we never talk about faith on Tactical Christianity, or Christian living on Living With faith, but that’s where the stress is respectively. That same difference is reflected in the free e-books we publish under the imprints of the two websites. Our “Tactical” books are frequently about practical subjects such as prayer, study, and everyday living, while our “Faith” site books tend to include more on subjects like Christian beliefs and biblical understanding. Once again, however, there is overlap and many of the e-books we publish could be on either site. As it is, we list all our free books on the e-books download page of each site so you don’t have to site-hop in order to see what is available. On the other hand, a little site-hopping is sometimes a good idea. We publish new blog posts or articles on each site every week so checking out our two sites gives you twice the material there would otherwise have been. And here’s an insider tip. If you haven’t noticed, our new material is auto published every Sunday on TacticalChristianity.org and every Wednesday on LivingWithFaith.org – so many of our followers routinely check the blog on each site on these two days. So there you have it. Both our sites are committed to providing quality Christian information based on sound biblical scholarship, and – as always – without charge. We have nothing to sell, but lots to give, and if you have only visited one of our sites we hope you will try the other! At a time when Jerusalem lay under the shadow of the brutal Assyrian Empire – which had already conquered the northern tribes of Israel – the prophet Isaiah was given the difficult task of taking bad news as well as good news to the people of Judah. The Book of Isaiah not only records those messages, but also shows us an important aspect of how they were delivered.